When you think of absorbents, what comes to mind? For many people, it’s sponges. However, the world of absorbents encompasses so much more than your average household products like rags and paper towels. 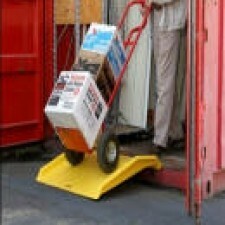 In fact, it even goes further than standard industrial products like booms, mats, pads, and rolls. While the absorbents and related products in this list might not be as common, they’re quite useful in their applications. Which could you put to good use? 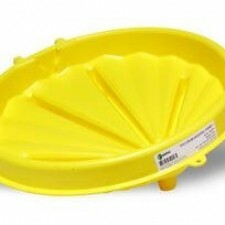 Drum Funnels — Looking for a handy way to get the liquids you’d like to store into their drums? 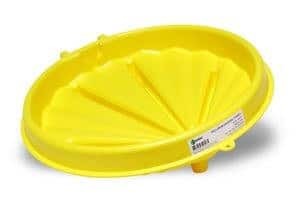 While they’re not absorbents, Drum Funnels can help you avoid spills and, therefore, the need for absorbent materials since they help with the drum-filling process. Durable Drum Funnels come in 55- and 30-gallon sizes, are made of 100% polyethylene, and are available with and without screens and covers for keeping dirt out. Acid Neutralizer Absorbent — Have an acid spill? Know for sure with Acid Neutralizer Absorbent! This handy absorbent neutralizes and solidifies acids and also changes color in their presence to alert users when neutralization is complete. 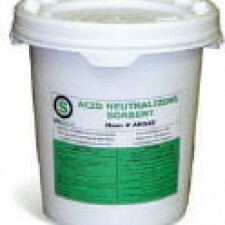 Quick, easy to use, and environmentally friendly, Acid Neutralizer Absorbent comes in a waterproof five-gallon pail and is great for battery acid spills. 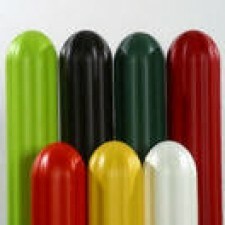 Bollard Covers — Like Drum Funnels, these products are not absorbents, but they provide protection. 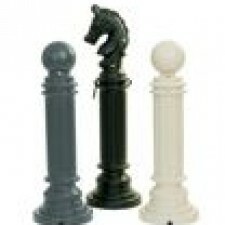 Covers slip over and protect bollards, reducing the need for maintenance like painting while preventing bollard damage. Those in bright colors can also alert drivers to the presence of bollards, allowing them to avoid damage. Cigarette Receptacles — Does anyone at your facility smoke? Offer them a designated place to put their butts! Not only do these receptacles prevent butts from entering the environment but they also offer smokers a convenient place to smoke and put their cigarettes out as well as keep your facility clean. 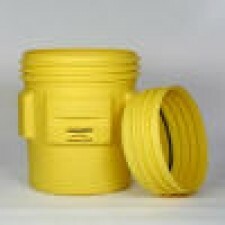 In addition, they help prevent fires and come in a variety of styles and colors. Granular Absorbents — Need a natural, non-toxic, and environmentally friendly way to absorb spills on floors? 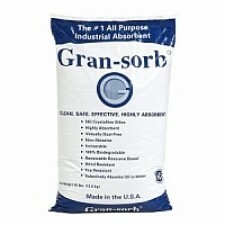 Made of recycled or biodegradable materials, Granular Absorbents come in four styles: Gran-sorb, Super Sorbent, Peat Moss Absorbent, and Corn Cob Absorbent. Gran-sorb is the most popular and is made from paper mill waste, so it’s free of hazardous materials. Super Sorbent is a universal absorbent and comes in handy shakers for fast small-spill response. Peat Moss Absorbent is perfect for oil-only spills, is biodegradable, and can be incinerated. Corn Cob Absorbent is made from ground corn cobs and holds four times its weight in fluids. Industrial Safety Products — If you’re looking for a little extra protection, Industrial Safety Products have you covered! 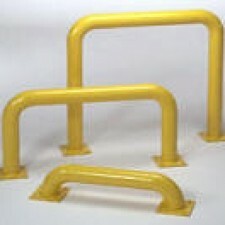 From Steel Bollard Posts and Machine Safety Guards to Column Protectors, Corner Protectors, and Wall Protectors, these safety products can guard almost any area at risk of bumps, scuffs, and other damage to protect machinery and your facility. Drums — For the safest liquid storage, choose Drums! These high-density polyethylene drums are food-grade quality, come in a variety of sizes, and can contain hazardous waste and chemicals. In addition, multiple lid style options are available, so you can ensure you get the seal you need. Loading Ramp — Perfect for easily loading your drums, these portable ramps come in three styles: Container, Curb, and Loading Dock. Container Ramps are made for loading drums into storage containers, Curb Ramps are great for getting hand trucks onto curbs, and Loading Dock Ramps are perfect for higher surfaces like docks. 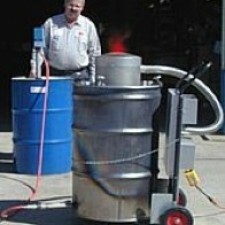 Incinerator — Reduce waste and contamination risks on any job site with a Portable Incinerator! Easy to transport, incinerators allow you to burn waste without odors, smoke, fumes, or pollution and also help cut waste-disposal costs. 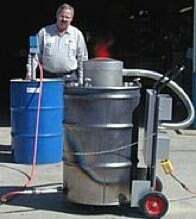 The SmartAsh fits over any 55-gallon steel drum for safe incineration. 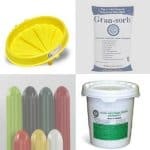 Which lesser-known absorbents and related products are right for you? Get the protection and safety products you need to keep everyone at your facility ready for anything while reducing risks and protecting your bottom line. Not sure which of these products are right for you? Contact our sales team at sales@absorbentsonline.com or (800) 869-9633. How Will You Respond to an Acid Spill? When an acid spill occurs at your facility, do you know what to do? 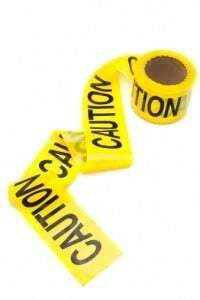 Safely containing an acid spill requires preparedness on several different levels. To appropriately manage an acid spill, you need to have the right tools, the right safety training, and proper knowledge on the correct way to contain a spill. Make sure your workers are trained to report spills, alert others, and evacuate the spill area immediately. Minimizing exposure to the spill decreases liability and clears the way for the cleanup crew. If a worker’s clothing has been contaminated by acid, he or she should remove the clothing and use the facility’s emergency shower. If the acid has splashed into the eyes, the person should also rinse his/her eyes for 15 minutes — but first ensure that the chemical is not water reactive. Anyone handling the cleanup process should wear personal protective equipment (PPE). Cleanup crew members should use gloves that are made of materials compatible with acids, such as thick nitrile or neoprene. Dike the spilled liquid as quickly as possible with an absorbent pad or absorbent pillow. An alternative solution is to use an acid neutralizer, which absorbs and solidifies the acid. Simply spread the neutralizer on the spill, working your way from the outside in, and mix the substances with a broom. An advantage of dry-powder acid neutralization is that it eliminates the need to use pH paper — the powder will change color when the spill is completely neutralized. Once the acid is fully neutralized, use plastic tools such as scoops to transfer the material into a hazardous waste container. When the spill is safely contained, clearly label the container with the name of the substance and contact your local environmental services provider or follow your facility’s procedures for disposing of hazardous materials. Wash the spill surface with soap and water thoroughly before personnel reenter the area. Acid spills are extremely hazardous and can result in serious injuries if they are not contained and cleaned up promptly and properly. By following the right procedures and having the right equipment on hand, you’ll be able to contain a dangerous spill without putting your employees at risk. Is Your Workplace Prepared to Handle Emergencies? It’s easy to think “it couldn’t happen to me” — until it does. Too often, we don’t focus on emergency preparedness until disaster strikes. And by then, it’s already too late. That’s certainly the case for some U.S. employers, many of whom are less prepared than they should be for workplace emergencies. A recently released report from the International Facility Management Association (IFMA) and RLE Technologies states that 19% of organizations lack an up-to-date emergency preparedness and business continuity plan. And Staples’ 2014 workplace safety survey shows that only half of employees believe their workplaces are prepared for a severe emergency. Think an emergency can’t hit you hard? Think again. A variety of emergency situations could disrupt business operations, from a short-term Internet outage to more catastrophic events, such as severe weather, a hazardous spill, equipment failure, or a terrorist attack. If you don’t have an emergency action plan in place to deal with events like these, you risk non-compliance with OSHA regulation 29 CFR 1910.38(a). And if non-compliance isn’t scary enough, emergencies like these could have dire consequences without proper planning, jeopardizing workplace safety or even shutting down the business. In fact, according to the Institute for Business and Home Safety, one in four businesses never reopens after a natural disaster. You don’t want to be that one in four. So how do you ensure that you’re ready to deal with a disaster if — or when — it comes? Both OSHA and Ready.gov offer guidelines and resources to assist businesses in developing emergency preparedness plans. Program management — A preparedness program requires management leadership, commitment, and financial support. Planning — This task involves assessment of hazards and risks and how to mitigate them. Your preparedness plan should include hazards specific to your business and workplace environment — for example, oil or chemical spills or severe weather events that are possible in your area. Implementation — The plan should cover all facets of preparedness (e.g., crisis communications, business continuity, emergency response). Testing — Test and evaluate the plan. Improvement — Based on what you learned during testing and evaluation, determine how your plan can be improved. If you haven’t recently reviewed or tested your workplace’s emergency preparedness plan, there’s no time like the present to determine whether your existing plan needs to be updated. And if your company lacks a preparedness plan, consider the consequences of not being prepared when disaster strikes — and make it a priority to develop a plan that protects both your employees and your business. Do you have the right safety products on hand for your workplace? To find out, contact Angie Meza at angie@absorbentsonline.com or (800) 869-9633.